Mind over matter, as the saying goes. It’s no secret that mental strategies play a key role in performing at one’s best. But it’s a lot harder to tell yourself, “Be positive,” and affect a change than it is to say to yourself, “Push your heels down,” and do it. 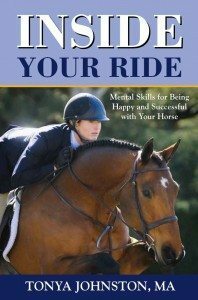 The author of Inside Your Ride, Tonya Johnston, is a mental skills coach who also competes in the adult equitation at AA-rated shows. She’s worked with riders of various disciplines, and her advice can be applied to any type of riding. Johnston breaks down strategies for creating a productive and effective mental outlook in each chapter. She tackles topics like motivation, confidence, focus, visualization and energy, to name just a few. For each topic, she guides the reader through real-life scenarios and gives them tools to employ to be able to control their mental game. Johnston uses stories from top riders and trainers like Margie Engle, McLain Ward, Gina Miles, John French, Guenter Seidel, Laura Kraut and many more to show that all levels of riders, no matter what their level, needs to be developing their mental skills. This isn’t a dull psychology book, by any means. 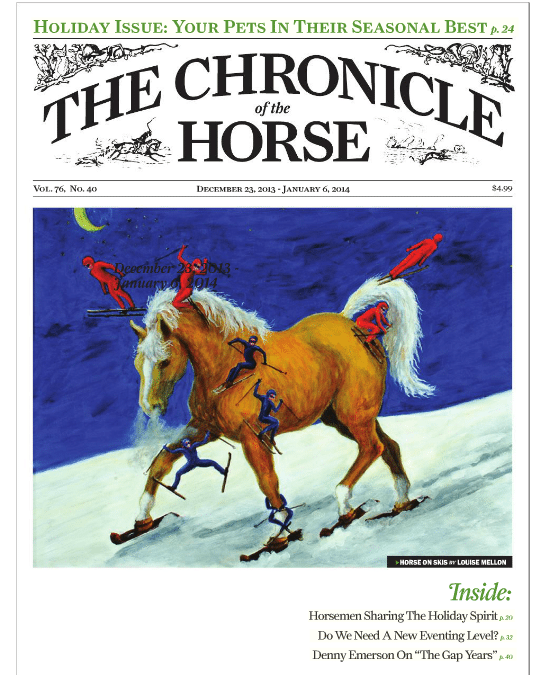 Johnston puts the reader in realistic riding scenarios to describe her methods. Her writing style is engaging and conversational. She uses a lot of bullet points and sidebars to illustrate points, and the engaging contributions from top riders break up the instructional portions of the text. Each chapter concludes with a list of highlights—takeaway thoughts to sum up the chapter’s lessons. Johnston doesn’t write only about mental skills; she teaches the reader how to set the stage for success in many different ways. Her “Sample Mental Skills Packing List for the Show” includes not only mental strategies, but also a cooler of healthy snacks, a music playlist and items like magazines or games to distract you. Her approach to the rider’s mindset is quite comprehensive. The book is geared toward the competitive rider, with the end goal of putting in the best performance possible, but I heartily believe that every rider could benefit from honing the mental skills that Johnston discusses. Employing Johnston’s techniques should make every rider more confident, calm and focused, which will pay off in any kind of ride.